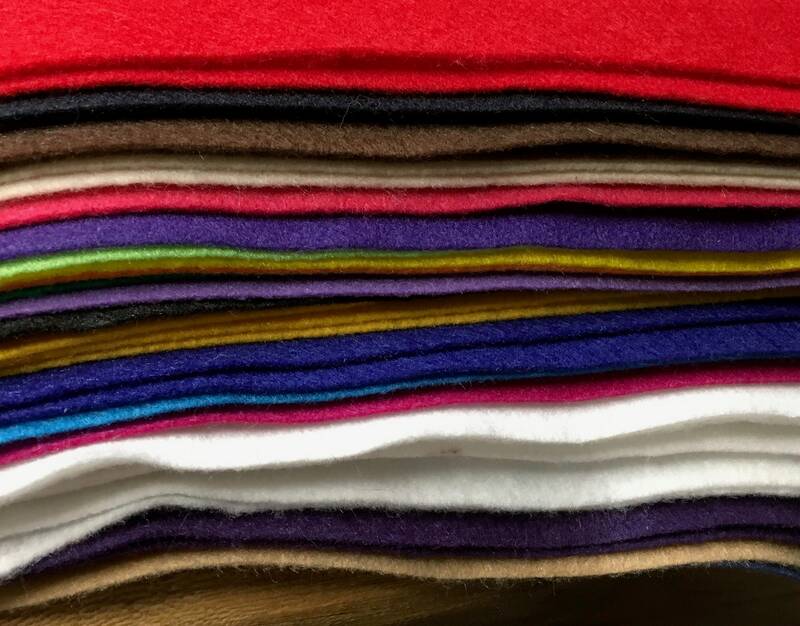 Large assortment of colors of acrylic felt for crafting. Use for sewing, embroidery, beading, holiday crafts and more. Each is about 9" x 12" and there are 2 of most colors - blue, green, pink, red, black, white, off white, brown, yellow...There are 36 squares. Cleaning out the craft room!